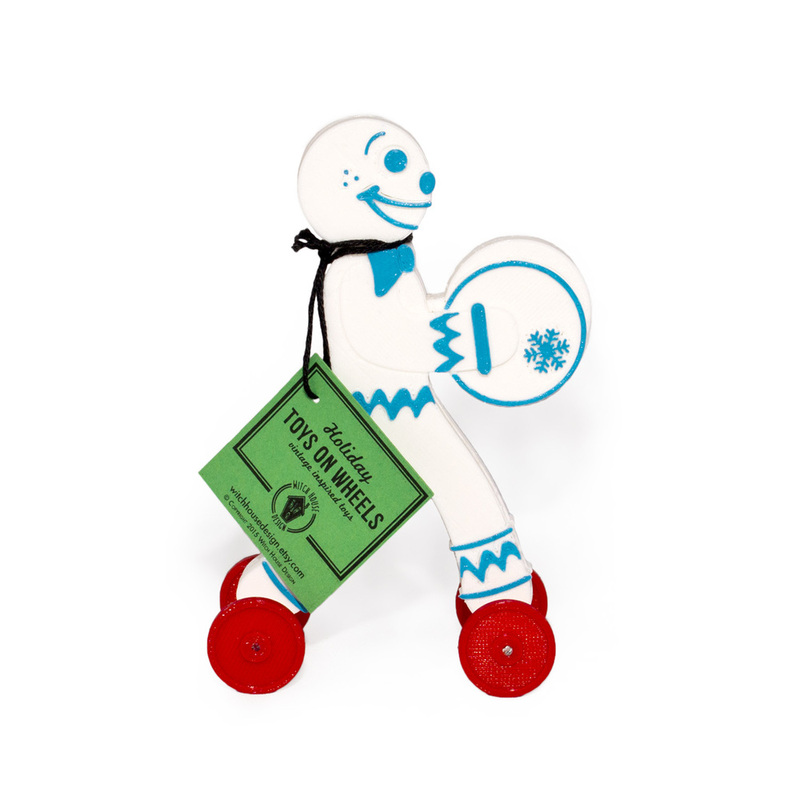 Gingerbread man toy on wheels. Red w/ White Paint - 5 Printed - Available here. White w/ Green Paint - 3 Printed - Available here. White w/ Blue Paint - 2 Printed - Available here.